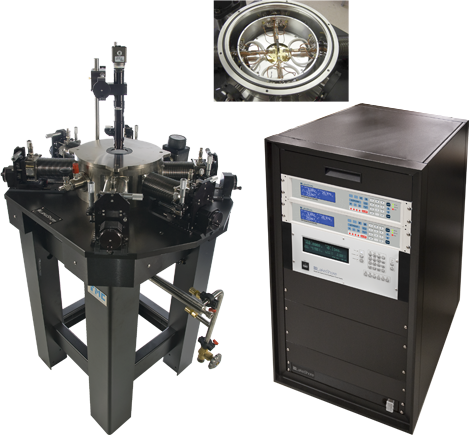 The Lake Shore Model CPX-VF probe station enhances the standard probe station capabilities with the addition of a ±2.5 T vertical field superconducting magnet. It can do all the standard CV, IV, microwave, and electro-optical probing of the Model CPX, plus out-of-plane vertical field superconducting magnetic measurements. Researchers can use it for performing Hall effect measurements and testing magneto-transport parameters. The CPX-VF is one of Lake Shore’s premium probe stations for combining microwave measurements with magnetic field.